The Smithsonian’s National Museum of American History will open a new display case Jan. 1, 2018, to share the story of the signing of the Fair Housing Act of 1968 with visitors to its “Within These Walls” exhibition. This landmark civil rights legislation was the result of years of individual and collective struggle against discrimination in sales, financing, rental and other housing-related transactions. The act protects the buyer or renter of a dwelling from discrimination based on race, color, religion and national origin; later amendments expanded protections. The two objects on display are a pen used by President Lyndon B. Johnson to sign the Fair Housing Act April 11, 1968, which is on loan from the Lyndon B. Johnson Presidential Library in Austin, Texas, and a handout promoting fair housing in the Belair development in Bowie, Md., in 1963. Images from the signing, protests and a contemporary campaign to raise public awareness bring the story to life. The display is the first in a series of house-and-home topics that will be presented in the “Within These Walls” exhibition, and it is made possible through the support of the National Association of Realtors. The overall exhibition tells 200 years of history through a partially reconstructed Georgian-style, two-and-a-half-story timber-framed house that stood from Colonial days through the mid-1960s at 16 Elm St. in Ipswich, Mass., 30 miles north of Boston. In 1963, Ipswich citizens saved the house from scheduled demolition, and it was moved to the museum. The exhibition focuses on several inhabitants of the house through five time periods from the Colonial era through World War II. 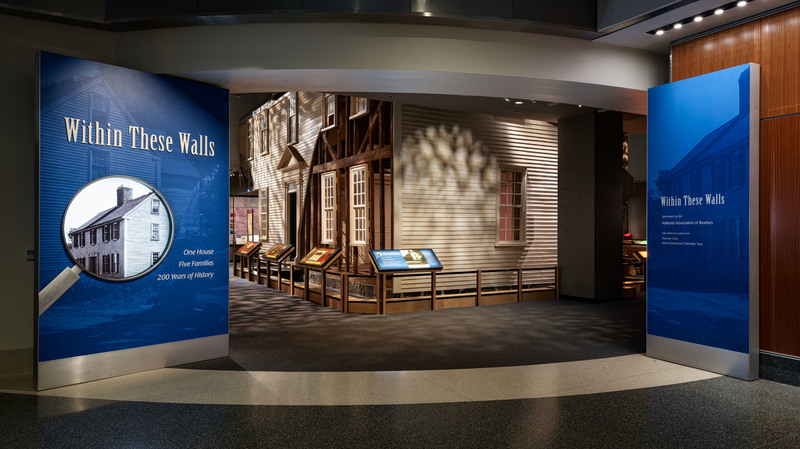 The National Museum of American History is located on Constitution Avenue N.W., between 12th and 14th streets, and is open daily from 10 a.m. to 5:30 p.m. (closed Dec. 25). Admission is free. For more information, visit https://americanhistory.si.edu. Smithsonian information for the public is at (202) 633-1000.